‘What is a story?’ How to become a great Storyteller. So many people set out to write a script or make a film but so few set out to tell a story – and this is obviously a mistake. The initial impulse should always be to tell a great story – but what is a story and how do you go about telling one? In this 90mins masterclass writer, script editor and development exec Ray Grewal, will define what a story is and analyse the essential components that go into creating a great screenplay. 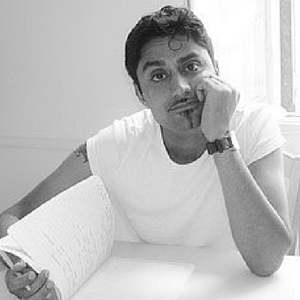 Ray Grewal is a freelance writer, editor, reader and tutor working for companies including the BBC, Creative England and the Writers’ Workshop. He has worked with many first-time film-makers, and is a visiting lecturer in screenwriting at Regent’s University, London. Visit Ray’s website and blog for lots of interesting articles and helpful tips: Script Play .